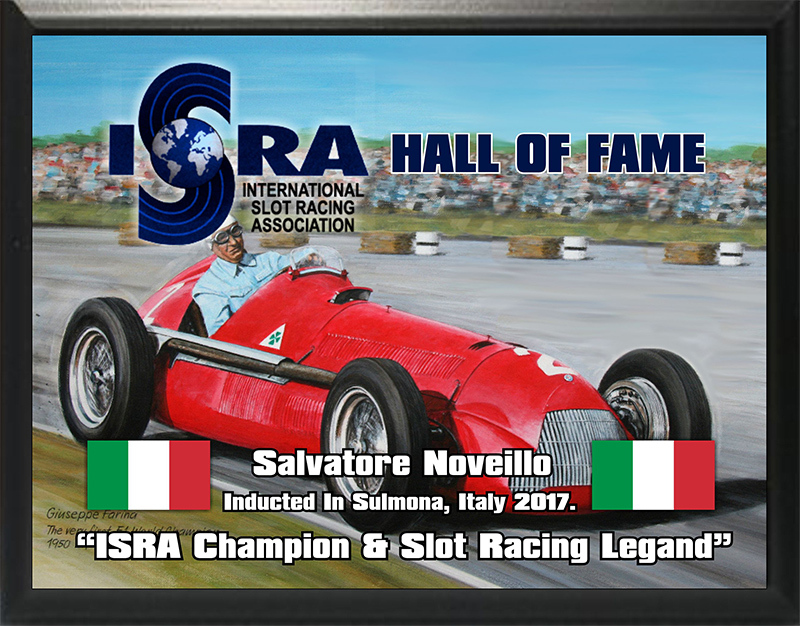 Salvatore Noviello from Italy is a great Slotcar World Champion, and was inducted into the Hall of Fame in the first induction ceremony in Sulmona Italy in 2017 as a fallen ISRA Champion. Salvatore raced from 1980 through to 2005 when a heart condition put an end to his slot racing career, racing and winning across a variety of organizations and classes. He raced in ISRA in from 1993 to 1997 with a win in ES24 in 1997 and several podiums, and then made a comeback in 2001 contesting the Production race with his good friend Paolo Trigilio, finishing 2nd overall. In 2011 he founded NSR Slot Cars, producing a line of slot cars, and selling them worldwide. 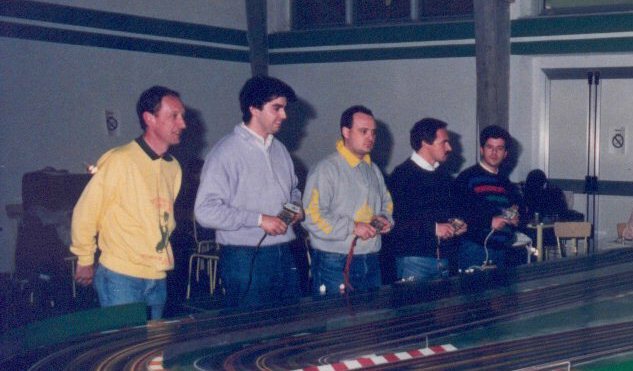 Unfortunately in March 2013 Salvatore was killed in an auto accident in Italy, and a great slotcar champion was taken before his time. We were honored to have Salvatore’s son, Andrea, join us at the prizegiving/induction ceremony at Sulmona and to have him accept the award on behalf of his father.